The E3 Media and Business Summit is dead. Long live the E3 Expo, which returns to the Los Angeles Convention Center from June 2nd to 4th next year, with "all qualified computer and video game industry audiences, including international and U.S.-based media, analysts, retailers, developers and business partners" in tow. That means we should expect big crowds and big booths, possibly a return to form on par with E3 2006 and prior. According to Laurent Detoc, president of Ubisoft North America, we should also "get ready for some fireworks!" Oy! What we shouldn't expect, however, is public access to the show. The official announcement from the ESA makes no mention of admission to anyone but industry types. That announcement is right after this. Entertainment Software Association Announces 2009 E3 Expo Los Angeles to Host Video Game Industry Event in June Washington, DC – October 22, 2008 – The 2009 Electronic Entertainment Expo (E3) will take place from June 2-4, 2009, at the Los Angeles Convention Center (LACC), the Entertainment Software Association (ESA) announced today. The expanded E3 will welcome all qualified computer and video game industry audiences, including international and U.S.-based media, analysts, retailers, developers and business partners to preview the latest in interactive entertainment and technology. “Video games are the fastest growing and most compelling sector of the entertainment industry. And, this upgraded event will reflect the growth, innovation and excitement of our industry,” said Michael D. Gallagher, CEO of the ESA, which represents US computer and video game publishers and organizes the annual event. “The breadth, scope and quality of the changes made to the show will make E3 the must-attend event of the year.” “The E3 Expo will be the pre-eminent North American gaming show next year. The new, larger event is better for industry leaders and for serious gamers,” commented John Riccitiello, CEO of Electronic Arts. After conducting both qualitative and quantitative research, ESA officials stated changes were necessary to better meet the needs of both exhibitors and attendees— these changes include increased booth sizes, increased qualified audiences, and an intensified focus on reinforcing the high-octane growth, innovation, and captivating entertainment that are driving the computer and video game industry. "The video game business will be twice as big in 2009 as it was in 2006 when we had the last real E3 Expo - so get ready for some fireworks!" said Laurent Detoc, president of Ubisoft North America. 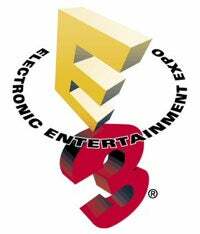 "The changes made will ensure that the 2009 E3 Expo conveys the best of what makes us proud as entertainment leaders." ESA also said IDG World Expo, whose principals have operated E3 since its inception in 1995, will produce the event with the ESA. The event will be open to ESA members and non-members alike. Organizers noted they are expanding the list of companies eligible to participate. Companies involved in console, PC, online, and mobile game publishing and developing, qualified business partners, as well as makers of video game hardware and peripherals can exhibit. Additional details, including registration, hotel and travel accommodations, and media credentialing, will be forthcoming in the next few weeks and will be available at www.e3expo.com. The Entertainment Software Association is the U.S. association dedicated to serving the business and public affairs needs of companies publishing interactive games for video game consoles, handheld devices, personal computers, and the Internet. The ESA offers services to interactive entertainment software publishers including a global anti-piracy program, owning the Electronic Entertainment Expo (E3), business and consumer research, federal and state government relations, First Amendment and intellectual property protection efforts. For more information, please visit www.theESA.com.